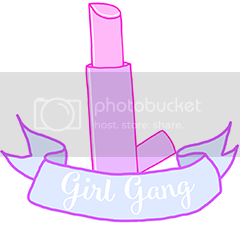 Now I'm a gal who loves a pamper and what is the best place for pamper products?! 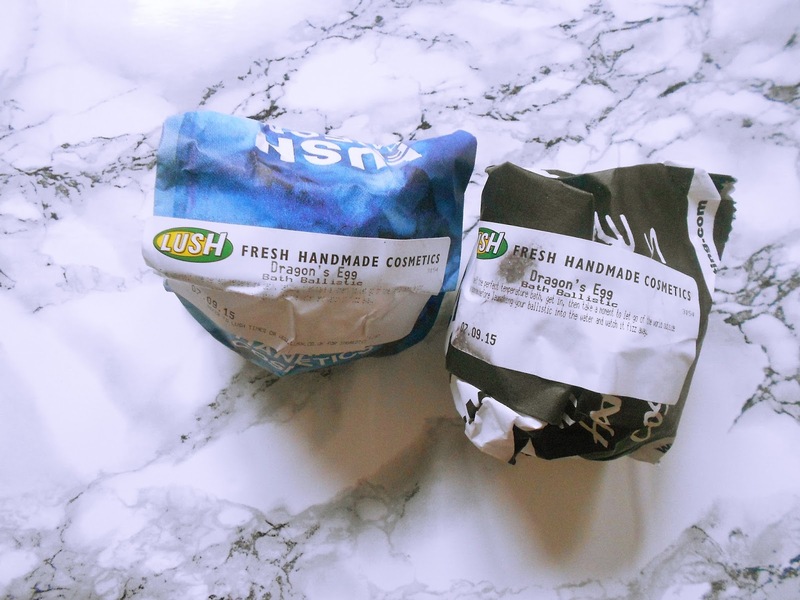 Lush. 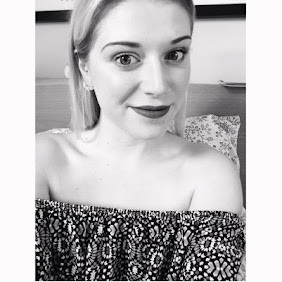 I kept looking through the website trying to decide all the different products I wanted, until I realised my list was about the size of my arm and had to stop myself haha! I decided to go into Plymouth Lush and thought I'd treat myself to a few products that I really wanted! I will admit though I am not the biggest bath lover, I usually get in for about 10 minutes decide I hate them and get out. So in a bid to learn to love them I went a bit crazy on the bath bomb/ballistic front! So hopefully these products will convert me! 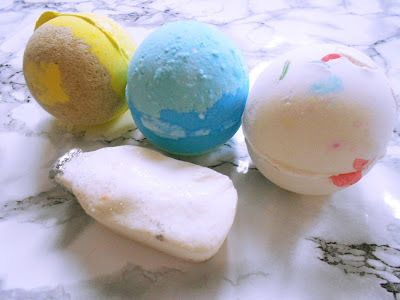 The first bath ballistic I got was Dragon's Egg (£3.35). I had asked on Twitter what everyone's favourite bath bombs from Lush were and which ones I should try and I had an overwhelming response of 'get Dragon's Egg'. 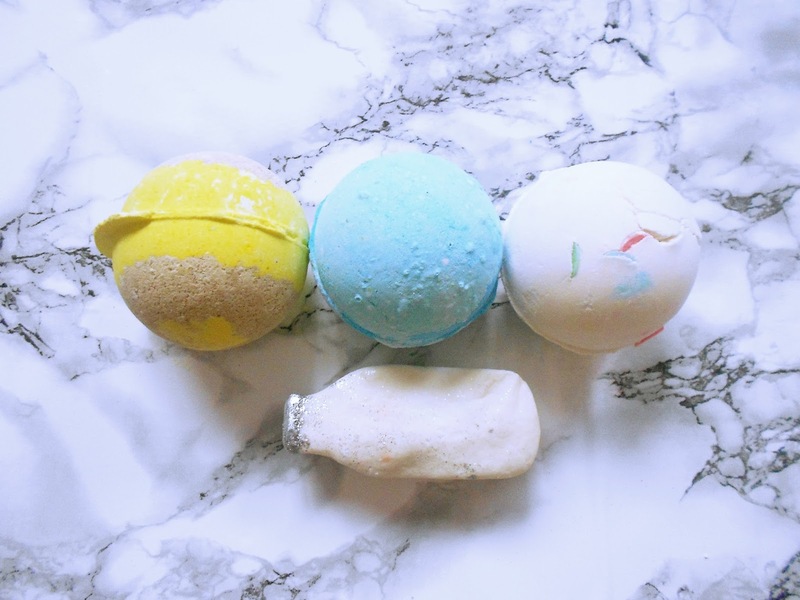 Dragon's Egg is a citrus based bath bomb with a hint of jasmine. It turns your bath a gold colour and the most exciting part is that is has popping candy inside for an extra little pop! It smells very citrusy which I love, as lemony citrus scents are one of my faves. 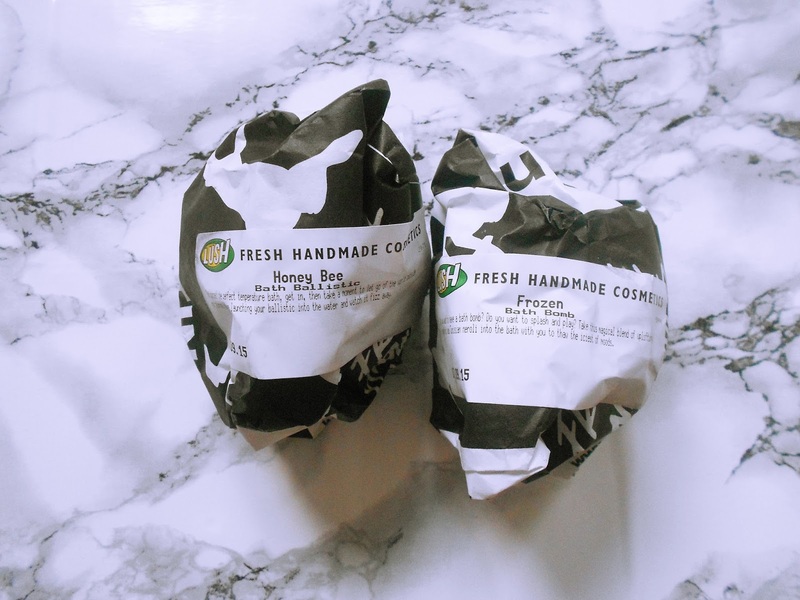 The next 2 bath bombs I purchased were Honey Bee (£3.35) and Frozen (£3.35). Firstly Honey Bee, it smells absolutely divine! It smells exactly like Honey I Washed The Kids soap, which is one of my fave soaps ever. It is a honey scent with a hint of aloe and orange. This particular bath bomb is meant to be very moisturising and nourishing as it contains an ingredient called Rhassoul Mud which has natural cleansing properties and helps to soften and condition your skin, so I think I will be using this bath bomb when my skin gets dry in the cold weather! The last bath bomb I picked up was Frozen. This bath bomb was exclusive to the Oxford Street shop when it opened and I was so annoyed because I really wanted to try it, so when they brought it out in all Lush shops I knew I had to get it! The strap line on the tag is 'Do you want to have a bath bomb? Do you want to splash and play?' which I think is SO cute but probably not to everyones taste haha! The bath bomb smells really floral and almost herby, with grapefruit and neroli as the main notes. It turns the water a deep blue colour which excites me and I can't wait to try this bath bomb out! I also got the Milky Bath (£3.75) bubble bar, which smells like cocoa butter and patchouli with a tiny hint of orange. The bar is shaped like a milk bottle which honestly was the reason I bought it haha. It feels really moisturising to touch so I am excited to use this bubble bar. Next I bought 2 face masks as I absolutely LOVE Lush face masks, they are full of natural ingredients with nothing harmful to hurt your skin. The first one I picked up was the Oatifix face mask (£6.50). Full of oats, bananas and vanilla, this mask gently exfoliates and nourishes the skin. It has an amazing cinnamon, almond, vanilla scent and feels amazing on the skin. After using it my skin feels so nourished and smooth. 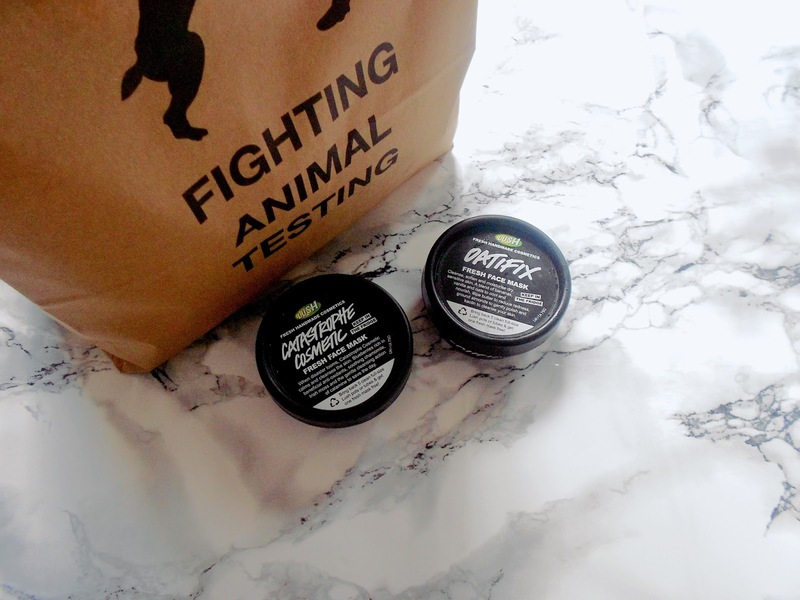 The second face mask I picked up was Catastrophe Cosmetic (£6.50). This mask is full of blueberries, chamomile, rose and almond oils and smells so fresh. 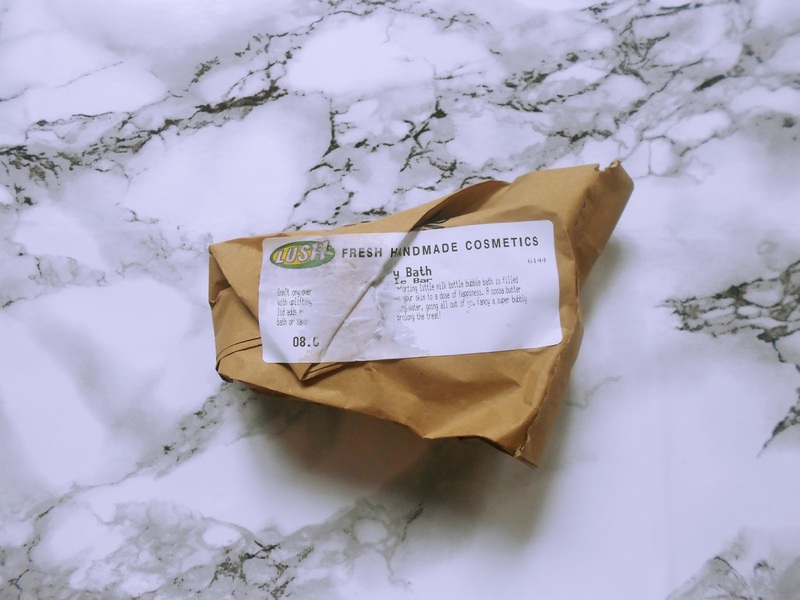 I have used this mask before and loved it so that was why I repurchased it. It is very cooling and moisturising and leaves the skin feeling refreshed and supple! 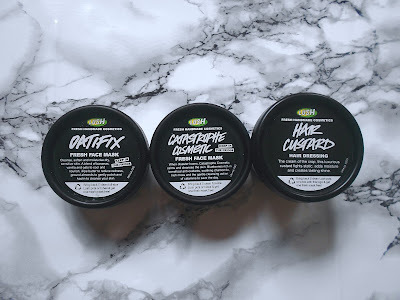 Finally the last product I picked up & the most pricey was the Hair Custard (£12.95). Now I know that this doesn't sound that appealing, the thought of putting thick custard on your hair may sound ridiculous but obviously this isn't the case haha! Firstly it smells incredible, like a big tub of vanilla with a little hint of coconut and oh my god I can't stop opening the tub just to smell it. 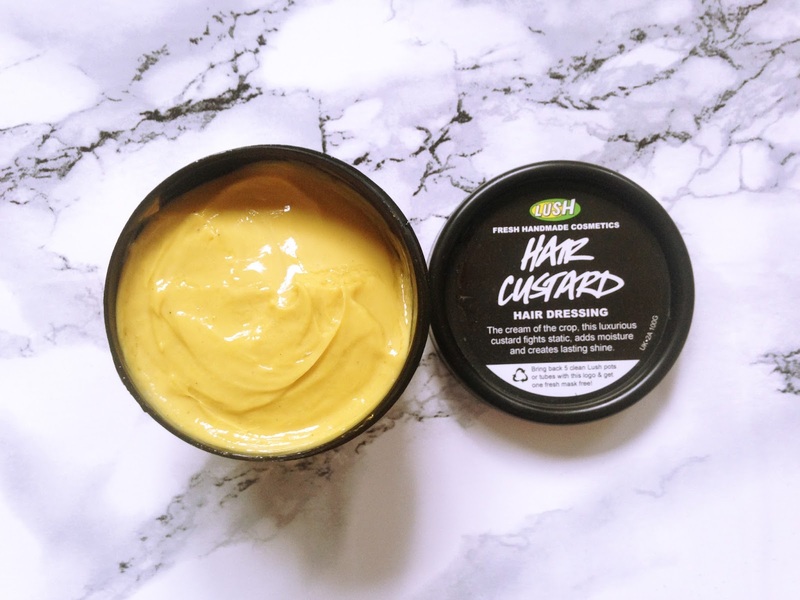 It is basically a custard consistency cream that you smooth onto the hair before blow drying it to stop static and make it feel nourished and shiny. Static hair is a thing of the past now! 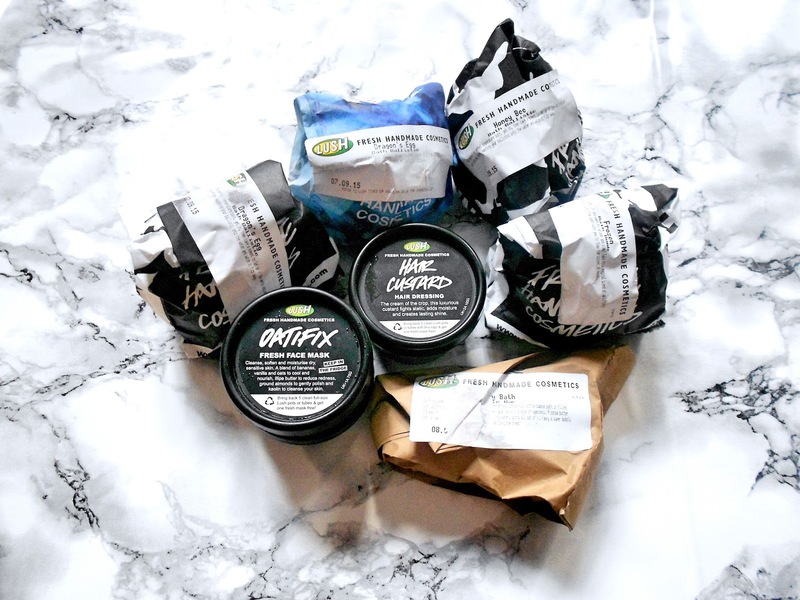 Ooh I do love a Lush haul! I can't wait to try out all my products! I was also given the new Lush catalogue with my purchases and have already circled pretty much EVERYTHING haha! I love Lush, and I love reading posts about Lush! 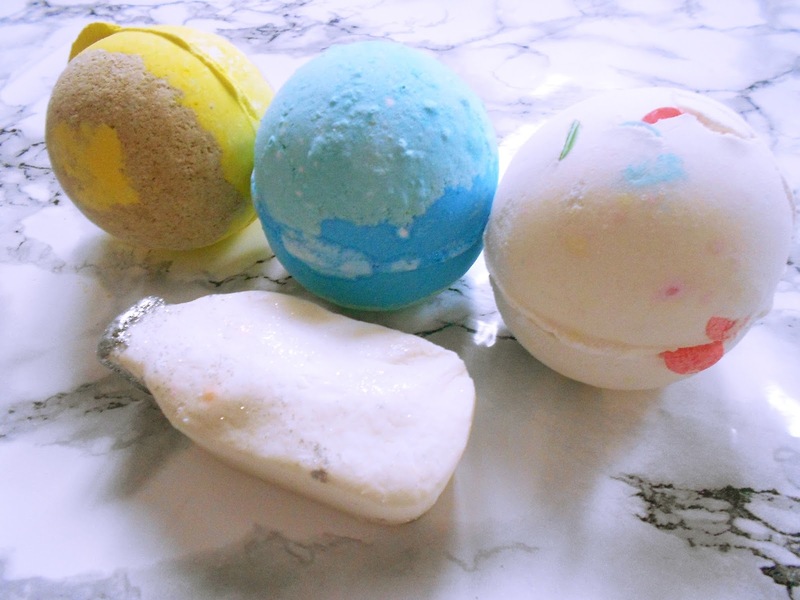 The bath bombs all sound amazing, I need to try the Frozen one!! 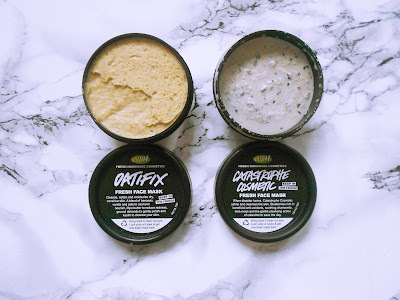 I love their face masks too, I've tried out Oatfix and loved it, and I have tried out Cupcake, smells divine... but the Catastrophe Cosmetic one you have sounds amazing, I think it's time I go out and purchase a new mask! !